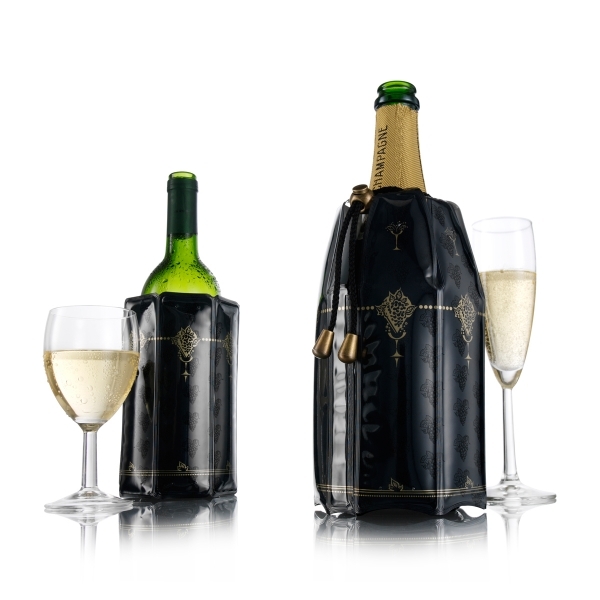 This is a set of 1 Active Wine Cooler and 1 Active Champagne Cooler. Both in the same design (black with gold). 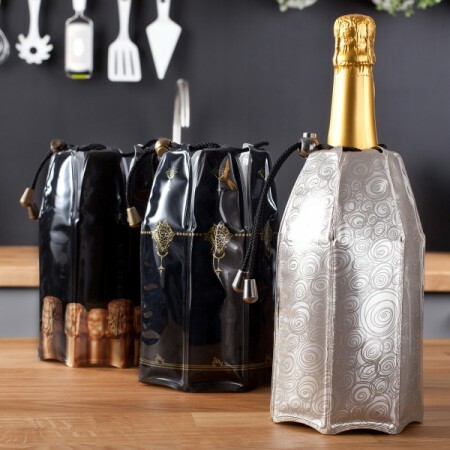 The Active coolers make sure your wine/champagne stays cold and starts cooling the bottle after 5 minutes. The coolers are reusable and unbreakable. Champagne Cooler: 22,6 x 15,5 x 3 cm. 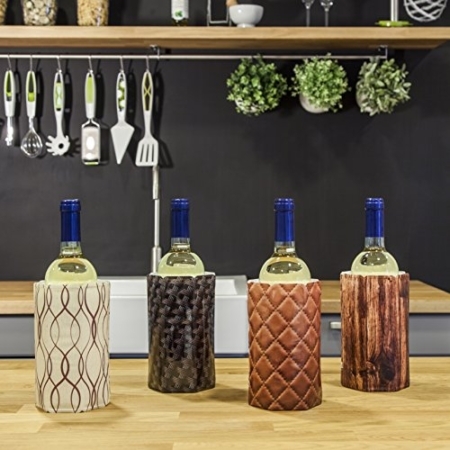 Wine Cooler: 17,6 x 14,5 x 2,5 cm.